Convert UMX to MP3 in batches automatically. 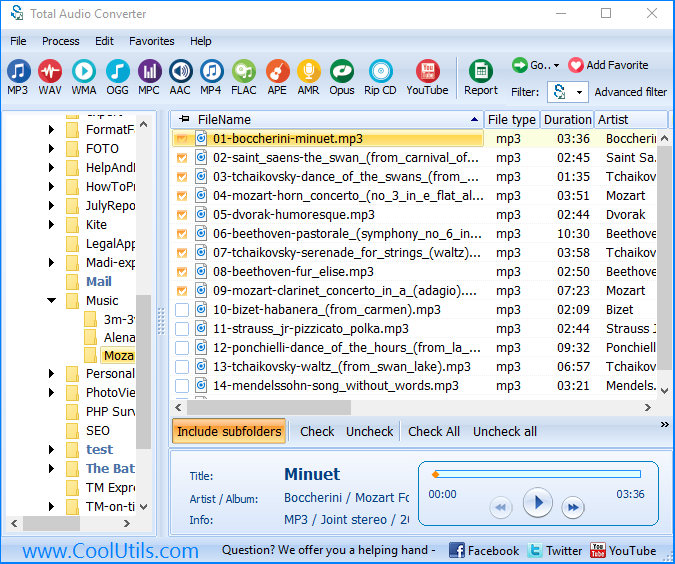 You are here: CoolUtils > Total Audio Converter > Convert UMX to MP3 in batches automatically. Are you stuck with your favorite game soundtrack saved in a weird UMX format, a music module format that contains background music for Unreal Tournament, a 3D first-person shooter? Don’t you have a chance to open it with such rare programs as Epic Games Unreal, Epic Games UnrealEd, KMPlayer, Spider Player, The Simple Unreal Songplayer, Unreal Media Ripper, MODPlug Player or OpenMPT? If this is the case, then you certainly want to convert UMX into MP3, which can be read by virtually any kind of an audio player, from WinAmp to Windows Media Player. However, most likely your Unreal Tournament original soundtrack contains more than just one audio file. This means that you need to convert UMX to MP3 in batch to save your precious time. 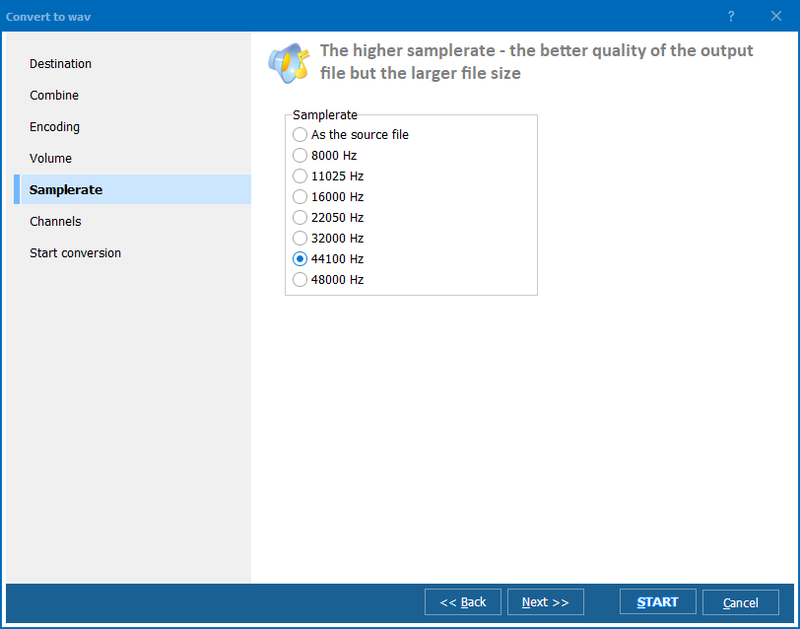 Let us introduce you to Total Audio Converter, a unique tool designed by CoolUtils, s reputable software company with extensive experience in development of converters of all kinds. 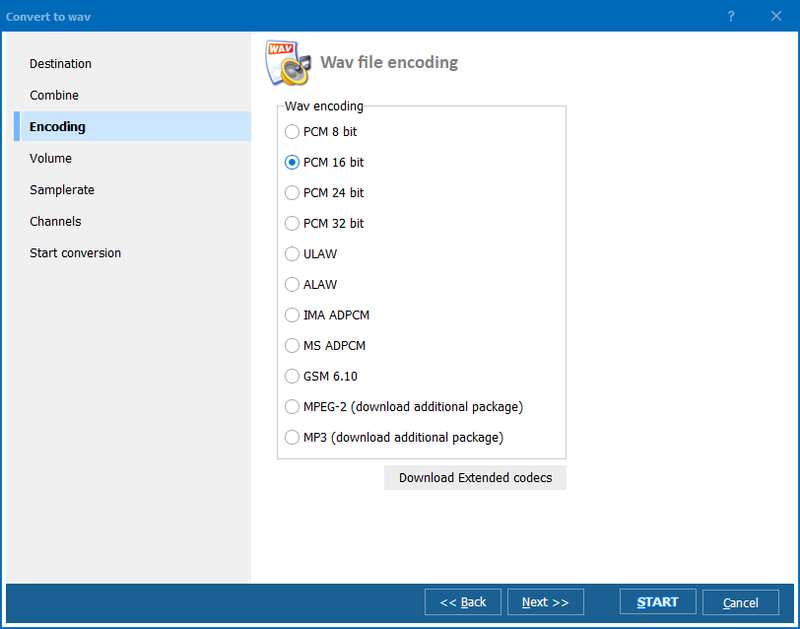 This tool is more than just a UMX to MP3 converter, it is an all-purpose converter compatible with such formats as WAV, MP3, OGG, WMA, APE, FLAC, MP4, AAC, and MPC. 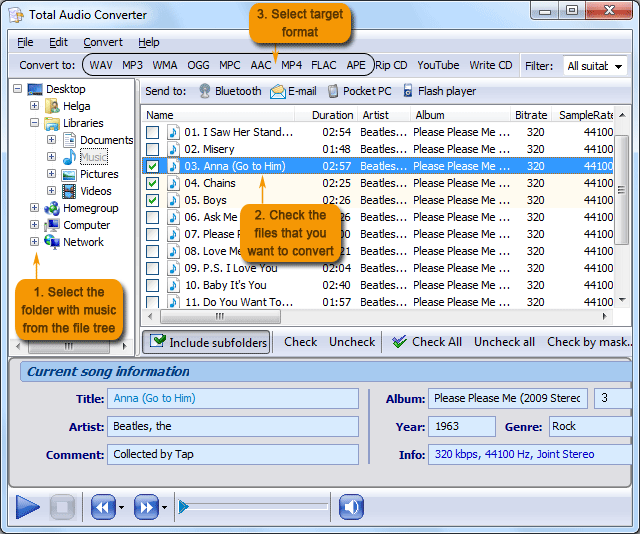 Moreover, Total Audio Converter by CoolUtils is a batch audio converter. It allows you to process hundreds of files at one time, saving you lots of time and nerves. Yes, UMX to MP3 conversion is as simple as this! Get your free trial version of Total Audio Converter here and try this unique tool for 30 days at no charge! There is no obligation or hidden fees, and you will certainly make the right choice. 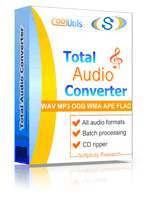 To buy Total Audio Converter, simply click here. Take advantage of this winter’s special! “Like” us on Facebook and get a 30% discount on your purchase! Being friends with CoolUtils pays!